As consumers are increasingly inundated with constant advertising and brand messaging, they have become adept at ignoring it. No matter how eye-catching, consumers will scroll right by an offer if it is not tailored to their specific needs. For a few years, the answer to this dilemma seemed to be multi-channel marketing. If brands had a presence across all channels, they were bound to meet and engage their target consumer at some point. Of course, marketers now know that a positive consumer experience is about more than being present; it’s about being present in the right moment, on the right channel, with the right message – or to put it another way, through an omnichannel approach. Simultaneously, as it has become more difficult to reach consumers, stakeholders have begun looking to marketing teams to provide hard data on the impact of their campaigns on conversions and ROI. This past year showed the first stall in marketing budgets following three years of consistent growth, as stakeholders wait to understand results. To meet the demands of consumers and organizational stakeholders, accurate, individualized consumer journey maps have become a top priority. They allow marketers to tailor their messages to specific consumers and thus increase engagement. They help marketers to track engagements on the path to purchase to prove ROI. Ultimately, positive customer experience has to be the goal and motivation behind every marketing strategy, and that is what these maps provide. Marketers are largely aware of the importance of customer experience, yet have run into roadblocks when building the maps. These challenges materialize in a variety of ways. It might be that marketers are not working with person-level data, leveraging aggregate information or generic personas to create their maps. Or, marketers may not be taking a broad enough look at the customer journey, which goes well beyond the touchpoints they interact with. There are a host of external factors that can influence a purchase decision, for example, how gas prices affect the decision to buy a car. Brand perception also plays a role in the consumer journey, but it’s not something that would be revealed by strictly looking at touchpoints and engagements. Another issue that leads to an inaccurate understanding of the buyer journey is isolated information, such as not being able to correlate data for online and offline campaigns. Whatever the challenge, it usually comes back to one place: data. Marketers struggle to understand customers, and therefore maximize ROI, because they are relying on inaccurate or incomplete data. This is where unified marketing measurement demonstrates value. A unified measurement gives marketers all of the information they need to understand the buyer journey, allowing them to optimize spend and increase ROI. It removes the generic persona approach: Marketers have long relied on detailed personas, such as “Anna the Accounting Manager”, around which they create their campaigns. While these once served their purpose, buyers demand a much more personalized approach today, with 80 percent of consumers saying they are more likely to do business with a brand that offers a personalized experience. Unified measurement offers granular, person-level data. This means that your campaigns are not being optimized for what you think “Anna” wants to hear or see, but how you know she interacts with marketing messages across channels. Two people who look the same on paper can have opposite ideas on how they want to be reached – marketers must account for this with granular data. It’s unified: It’s all in the name. Unified marketing measurements are, well, unified. It has been shown that data literacy is one of the main roadblocks to organizational success. This is not surprising when you look at all the various sources of data marketers rely on. They have different attribution models running for different campaigns across online and offline channels. They then must look at the different data points produced by each and understand how each impacts the other. This is a daunting task that, when done incorrectly, can lead to misattribution and incorrect optimizations. Conversely, taking the time to correlate this data accurately will hinder marketers’ ability to make in-campaign insights. In fact, a recent survey found that wrangling data and preparing it for analysis accounts for far more of marketing analysts’ time than actually deriving insights from the data. With unified measurements, all of this data is distilled into digestible, normalized metrics, which can then be evaluated to create actionable insights. 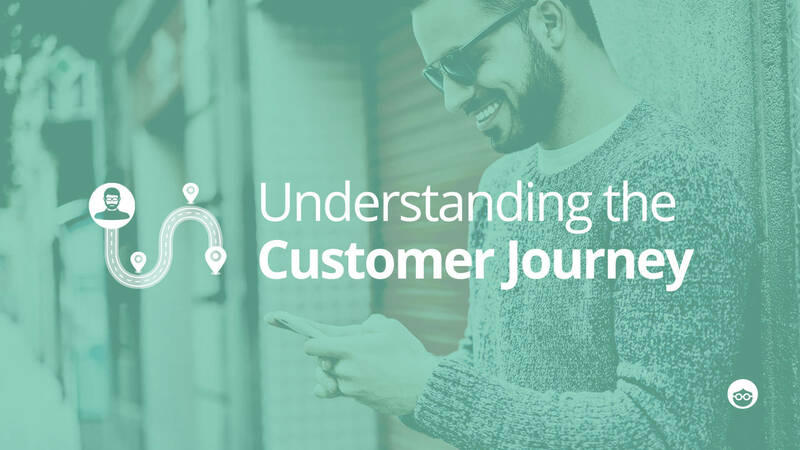 It provides broad market context: When outlining customer journeys, marketers need a broad understanding of the market and how they are seen within that market. Unified measurements consider aggregate data, such as that collected through media mix modeling, to provide insight into external factors that affect their path to purchase. Moreover, marketers can better understand the role that brand perception plays in driving conversions. This is especially important, as many companies have shifted to a brand over product focus in their advertisements. Think back to the “Thank You Mom” campaign run by Proctor & Gamble during the Olympics. These ads do not highlight a specific Proctor & Gamble product, but the company as a “Proud Sponsor of Moms.” As organizations shift to this brand-first approach, unified measurement allows them to measure their impact and determine how to prioritize brand building initiatives. Above all else, marketers must prioritize giving a positive customer experience. In doing so, they are better able to engage consumers who would otherwise tune them out, and demonstrate ROI to corporate stakeholders. To do this effectively, marketers must overcome data-based challenges that leave them with isolated or inaccurate data by leveraging unified measurements.